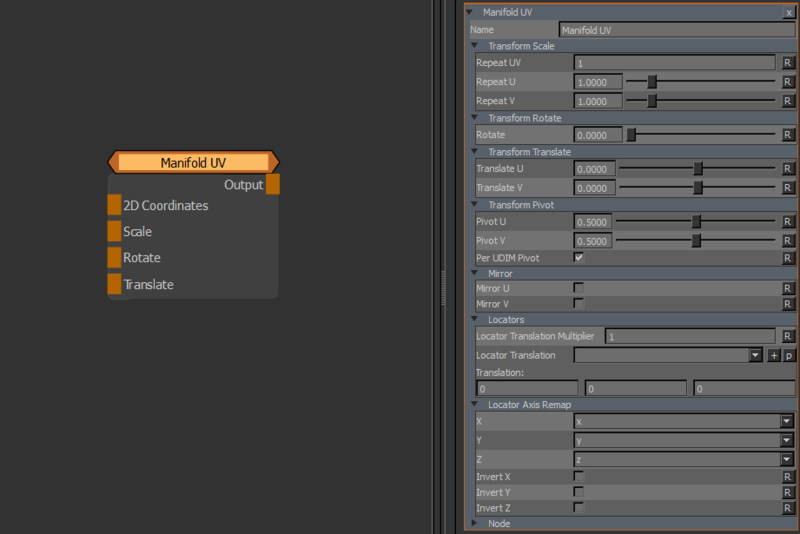 but the Manifold UV Node can be used to modify multiple Nodes at once. 'Manifold UV' by default uses your objects UV Coordinates. By default, if the 2D Coordinates Handle is unmapped the Node will use your Objects UV Data. each UDIM has its Transform Pivot in the centre of the Patch. 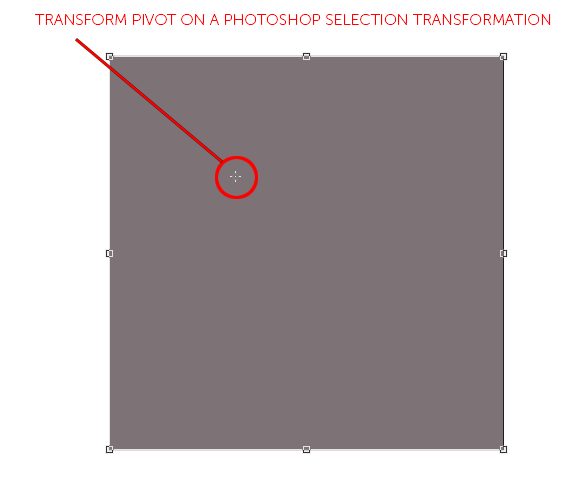 This is comparable the Transform Pivot you might be familiar with when applying Layer Transformations in Photoshop. This setting is not evaluated when PerUDIM Pivot is turned off. With PerUDIMPivot on,all transformation will be performed with a pivot inside each UDIM (as determined by the Pivot U/V Position). UV Modifications are a 2D Process while Locator Movement in the Viewport is a 3D Process. Moving your Locator a certain distance in the viewport might result in a faster or slower UV move than you are happy with. how much the UVs 'stick' to a locator movement. Allows you to pick or create a Locator for Translation so you can adjust the Manifold Transformations directly in the viewport. Refer to the Locator Usage Section of the Manifold by Locator Node or the Locator Video above for samples. UV Modifications are a 2D Process however the Locator movement in the viewport is a 3D Process. correspond with your actual UVs anymore. In these cases it might be necessary to change to the Axis mapping in order for Locator Modifications in the Viewport to affect the UVs in a more intuitive way. Will invert the selected Axis. This can be useful for example in case of rotated UVs where a viewport locator move upwards moves the uvs downwards.